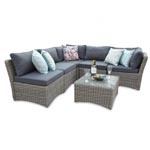 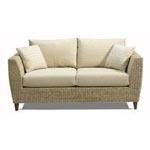 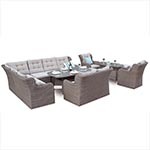 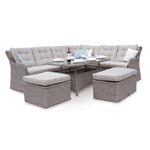 The brand new Bahama 3 Seater Rattan Modular Sofa Set, part of the featureDECO range, is a versatile and elegant rattan garden set. 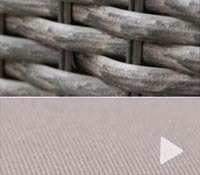 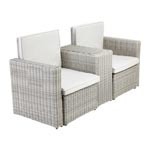 The clever design allows you to create various seating areas with the addition to expands on a existing rattan set that you may have. 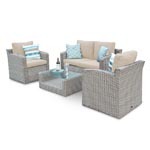 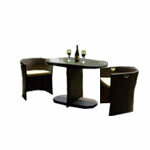 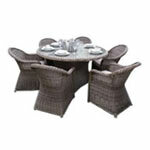 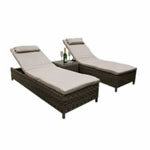 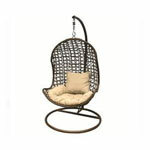 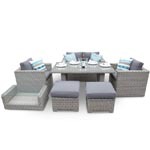 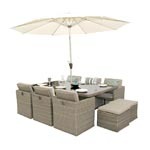 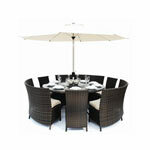 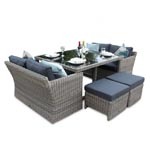 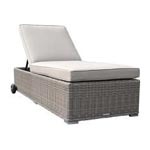 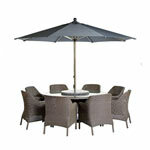 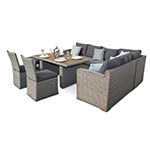 The gorgeous, modern design of this rattan set and its high quality material will make it the focus of any garden or patio. 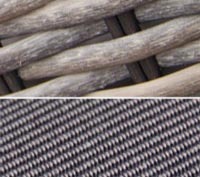 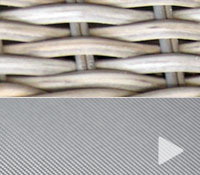 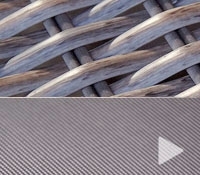 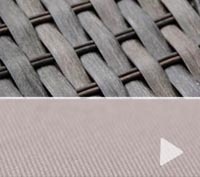 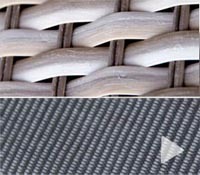 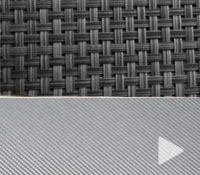 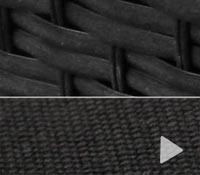 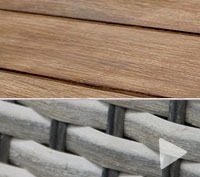 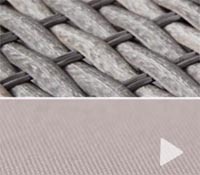 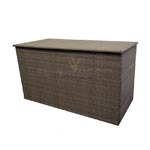 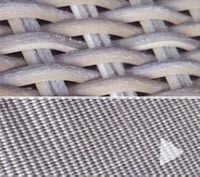 Natural Looking 12mm flat PE weave which is a synthetic wicker fibre. 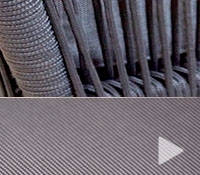 Adjustable Feet. 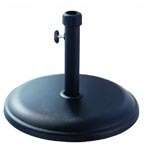 This will not rust and feet can be adjusted to account for uneven surfaces. 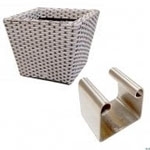 Not to be confused with plastic coated chrome feet on lower specification models, which can snap easily. 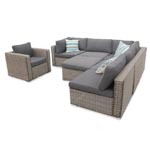 The scatter cushions displayed for illustrative purposes only and not included in the set. 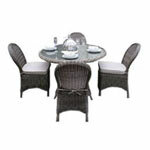 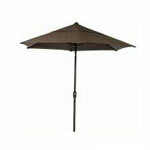 This set is suitable for outdoor use. 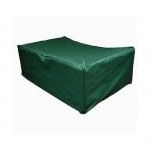 Cushions must be stored indoors as they are showerproof.